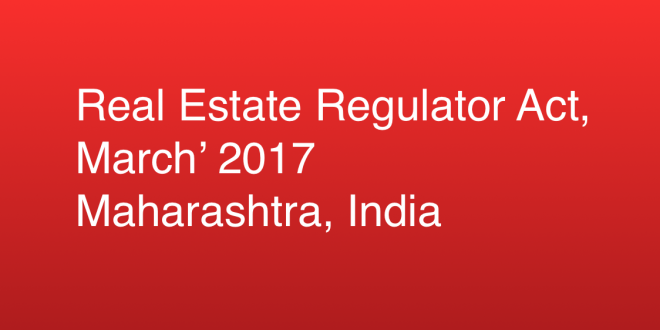 Maharashtra Government may announce the final rules by March 2017, for implementing the rules and regulations of RERA, the much-awaited Real Estate Regulator Act (RERA). The RERA as an act got the Presidential assent on 1st May 2016 and there- after all the State Governments were given the guidelines to frame the act as per their state local laws. In India, there is a complete diversity of real estate laws and practices and even the real estate terminology, processes; basic rules are different from each other. 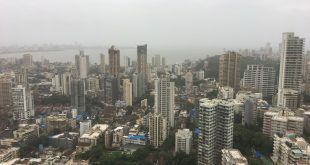 Mumbai by far has a lot of process driven approach and all, by and large, understands the rules and regulations for Buying, Selling and leasing a residential or commercial property. The Real Estate (Regulation and Development) Act 2016 is an Act of the Parliament of India. The Rajya Sabha passed the bill on 10 March 2016 and by the Lok Sabha on 15 March 2016. The Act came into force on 1st May 2016. According to RERA, it is mandatory for all Commercial and Residential projects to register with RERA. It will help in regulating the transactions in Commercial and Residential projects and will also ensure the completion of the projects on time and protect the interest of the homebuyers. 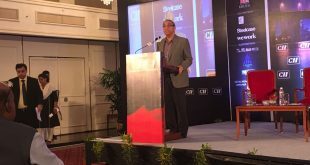 As per RERA, the States have to create their own individual regulatory bodies under the framework and policies as received from the Central Government. However, the States can plan their own rules and regulations as per the state laws and local customs and rules, but by and large, the states cannot dilute any provisions which are been framed to protect consumer interest. The act has received widespread acceptance from the Real Estate Industry, especially from the Developers and Real Estate Agents. This will provide a level playing field in the industry as small time Developers who have clear title land, finances, and other permissions. The RERA act will help change the mindset of the Home Buyer or an Investor in Mumbai. There are so many home buyers who shy away from buying under construction homes as they feel that once they give their money to the developers, they are not sure when the possession will be handed over. Mumbai developers over the years have earned this reputation that they will never be able to complete the promised house on time. With RERA coming in there is the provision that 70% of the funds will be kept in escrow for the project and the funds will be used for the project only and not transferred buying another land or project. Plus, there are few deterrents placed in which also put a penal interest of the Developer for not delivering on time etc. It will be interesting to see how the real estate market evolves in the next 1 year as we may see a lot of consolidation in the sector as well. The Top developers in Mumbai like Oberoi Realty, Kalapataru Limited, Rustomjee, Radius Developers, Omkar Realtors and Developers Pvt.Ltd, L&T Realty, Shapoorji Pallonji Real Estate etc. 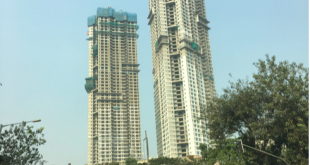 may not have too many issues dealing with RERA, but the smaller developers may face some teething problems due to the complexity of compliances.